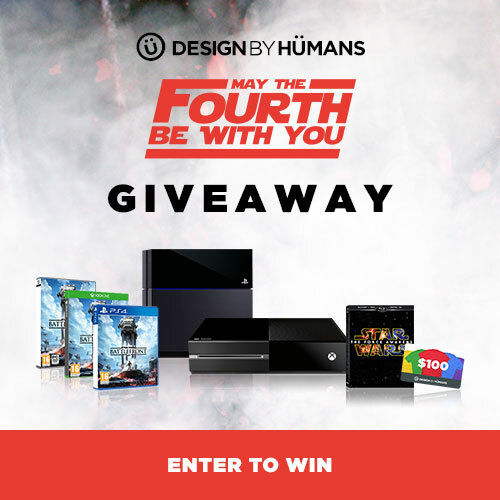 There is a pretty cool chance to win some cool prizes over at Design by Humans at the moment. I have entered and you probably should too. The top prize is your choice of a PS4 or an XBOX One. Other prices include Game codes, a Force Awakens DVD and a $100 gift card for Design by Humans. After the console, the gift card would be my preference. 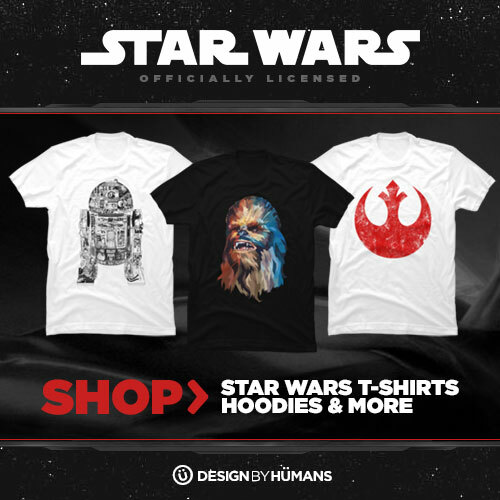 This promotion is to bring attention to Design by Humans huge and expanding collection of licensed Star Wars t-shirts. Be sure to check them out and use the code: THESHIRTLIST to get 10% off.